Everyday more and more games are coming to Apple store and it looks like very soon, Apple will introduce a special gaming mobile in the market. Not long ago, gamers would not give importance to mobile games as compared to console or PC games. But with the gaming evolution that PUBG mobile has brought in for mobile gaming industry, time is near when portable gaming may overtake its counterparts like expensive console games. Many new games are being developed for iPhone every month. Still android is way ahead of Apple in this regard right now. It’s may be because, Apple focuses on processing performance and camera but their graphic quality is still fantastic nonetheless. Apple’s latest launch iPhone X and iPhone XS have some pretty advanced graphic chips in them that can smoothly run latest famous games. There are also some popular games in the market that allow you to connect console players to iPhone one’s. With the advancement in smart phone industry, Apple is introducing more advanced devices every year with extremely powerful processing chips and solid graphic display. This is creating a hype in video gamers to prefer their smart phones over expensive consoles and graphic cards for desktop computers. Obviously, developers will be looking to make smartphones more sophisticated and the games more compatible to grow their market size. Video quality is possibly the one thing that should be the primary focus on every game developer’s mind. Now a day, smartphones are capable of running latest games with ultra-high graphics and provide a console like experience on mobile. Plus, with game in your smart phone; you don’t have to carry console or your laptop around. You can just take out your mobile from the pocket and start playing. No need to plug-in the console adapter or Desktop’s power cable. Mobile gaming is not only successfully running the show for offline games but this industry is also adapting to the behemoth of online/multiplayer gaming. Real-time strategy game is not new to smart phone. Although online FPS games like PUBG mobile and Fortnite have been introduced recently. With their huge success, smart phone developers are looking to make their devices even smarter and feasible for upcoming games. iPhone X and iPhone XS have the strongest graphic chip and fastest processing chip integrated in any iPhone yet. Providing awesome gaming experience to players, these devices have attracted a big gaming fan base towards cell phones. With extremely high rendering performance, you can enjoy the console like experience on your smart phone. 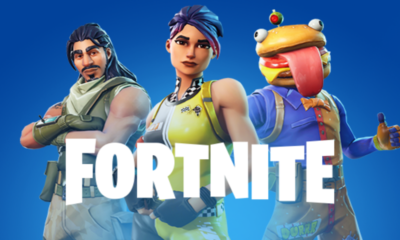 Fortnite is probably the world’s most famous battle royale game. In Fortnite, 100 players start the battle with nothing in hand. As you roam around the map, you find different weapons and equipment. This game is a struggle to steal valuable resources before enemies and surviving in the open world. You can download Fortnite for free from iPhone store. This game is made for car racing lovers. Grid Autosport is designed using amazing graphic and simulator playstyle. There are nearly 100 cars from which you can choose to race. Grid Autosport is also available on Desktop and consoles. You can buy it for $9.99 on Apple store. Simple design, beautiful art like graphics and some added humor. Donut Country is a puzzle type game who has won several awards. You can buy it for $4.99 on Apple store. Similar to “The Legend of Zelda”, Oceanhorn is an action adventure game which keeps you engaged throughout. You can buy it for $7.99 on Apply store. Super Mario Bros does not need any introduction in the gaming world. It was probably the first video game of many gamers. Super Mario Run is not the actual Mario Bros that you were used to. Still it is close to the original. You will find all the main game characters in it like Mario, Luigi, Toad, Toadette, Peach and Yoshi and the graphics are amazing. Super Mario is priced $9.99 at Apple store right now. Florence is an award winning game that circles around a romance story. It shows hand written drawing brought into life through an enticing story. You can enjoy a number of side missions in the game to prosper in the main storyline. You can buy this game for just $2.99. Hidden Folks was released in 2017 and it is still going strong. The game show handmade drawings like Florence where you have to find objects in a picture. You can find this game on Apply store for just $3.99. Crypt of Necrodancer is dungeon bases game similar to “Pacman”, in which you fight monsters for your survival. Game style is classic and simple but it attracts you nonetheless. It can be bought for $4.99. This game is an inspired version Nintendo’s classic slice of life games. You can enjoy simple gameplay while making a lot of enemy friends. Best thing about this game is that it is free on Apple store right now. Go get it. This simple and elegant game won iPad Game of the Year award for 2018. You just cannot stop playing it. It is priced $4.99 at Apple store right now. If you are looking for an action-adventure thriller game, PlayDead’s Inside is the one for you. This game won Apple Design Award in 2018. You can purchase it for $6.99. This is a puzzle-type game made with amazing graphics and interesting mazes. You get to play engaging rounds in this game. Monument Valley game series is perfect for time killing. Monument Valley 1 can be purchased for $3.99 and $4.99. Warhammer is a very popular game series on PC. Freeblade is designed for mobile gaming. It uses the same mechanism of original game. You can play up to 170 missions in the game. This game provides a lot of customization options like you can customize characters and useful items. And this game is free to play. What are you waiting for! This game is made for Marvel fans. Marvel contest of Champions lets you choose your favorite hero and fight against other Marvel heroes. You can also build a team of your preferred Avengers. With beautiful graphics and intense gameplay, Contest of Champions is a true “Marvel”. It is also free to play on Apple store. If you are a fan of open world game and want to kill some free time, try playing “The Talos Principle”. This game offers up to 120 challenges for players. You can explore environment, play missions, whatever you want to do in this game. It can be purchased for $4.99. There are like millions of games on Apple store right now. There is no restriction that you must play our recommended one’s. You can play any one of them. If you have any other favorite game which you would like to share with us, do tell in the comments section below.